I would like another spot in the dual. Thanks! I'd like to cash in a spot in dual box. Orr puck gone to Chuck! 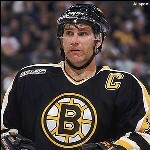 Eldonko wrote: Orr puck gone to Chuck! I would like a spot in the dual using my hit coins. Thanks! Zac, I would like to cash in some coins. Can I get the Keller YG, and can I also get Slot 21 in the hit parade please. (if the math works out) Thanks.